* The original book printer went out of business, so changes had to be made in order to continue offering it for purchase. ​The book's content did not change but the overall size was altered slightly to adhere to the new printer's specifications. 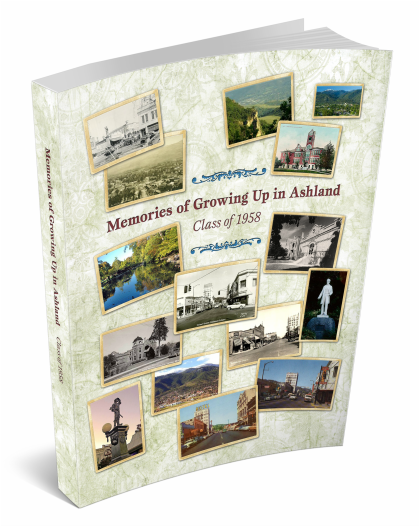 Stories from 39 students of Ashland High School's Class of 1958. After requesting various stories and photographs, this was a book that was put together by Ann (Martin) McIntyre as a gift for her fellow students at their 50th High School Reunion. "I would like to recognize all of my classmates. and remembering those that have already left us. after losing my partner of 44 years—reconnecting to wonderful people of my past and making new friends after all these years."